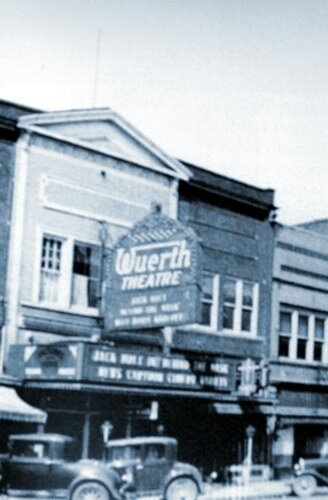 In March 1929, a year after the first talkie, The Jazz Singer, was realized, Wuerth installed the towns first sound system. Although it was expensive, he rationalized that it was cheaper and less trouble than hiring orchestras and vaudeville acts. 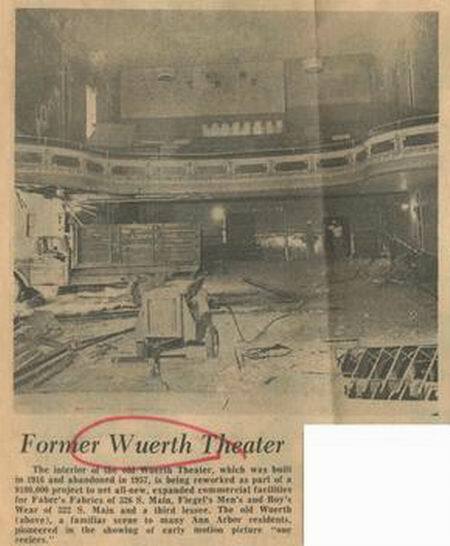 The Ghost Talks, the first talkie at the Wuerth, was a sell-out. 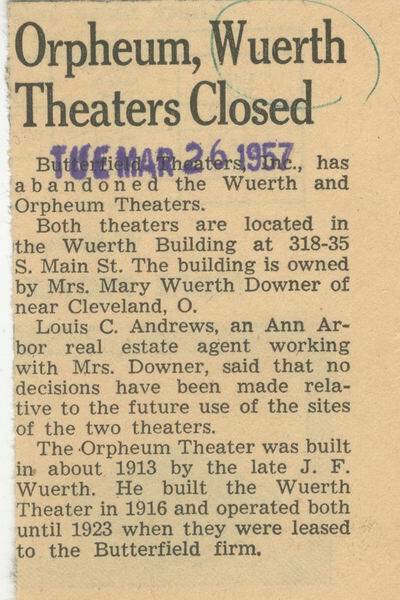 Both the Wuerth and the Orpheum closed in the 1950s when people began to stay home and watch television.